Intel has notified Oregon officials that it plans to lay off nearly 800 workers in the Portland suburbs. The Santa Clara-based chipmaker announced last week it was shedding 12,000 jobs worldwide, part of a restructuring caused by declining personal computer sales. Intel is Oregon's largest private employer, with 19,500 workers in Washington County. State law requires employers to give advance warning before a plant closing or mass layoff. The Office of Community Colleges and Workforce Development said Tuesday it received the warning from Intel. The company said in its letter to the agency that it is firing 784 workers. The affected workers will be told by Friday that their last day will be May 31. Intel's notice said laid-off employees will then get an additional six weeks of pay and three months of health insurance. Intel said the layoffs are permanent and the workers will not be recalled to work. Most of Oregon's Intel employees work in Hillsboro, about a 30-minute drive from downtown Portland. Hillsboro Mayor Jerry Willey noted in a statement that _ before the layoffs _ Intel had boosted its employment in the area by 2,000 workers since 2014. Besides the Portland suburbs, Intel has large campuses in Arizona, Californian and New Mexico. It also has facilities in countries including Israel and China. 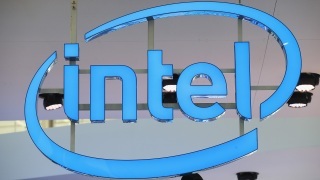 Intel told California officials Monday that it was terminating 565 workers in that state.